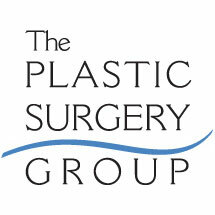 The board certified plastic surgeons at The Plastic Surgery Group in Albany understand that everyone's face is unique. Each facelift is carefully customized to provide the best results for your facial dimensions, skin type, bone structure, and your personal goals. Many women and men combine their facelift with a neck lift, eyelid surgery, or other procedure for the best possible results. Facelift surgery involves incisions close to the hairline and the front of the ear as well as behind the ear. In some cases, if the skin under the neck requires tightening, incisions will be made in the area below the chin. Your plastic surgeon will then remove excess fatty tissue, either surgically or through liposuction, that has accumulated on the neck and chin areas. The muscle and tissue under the loosened skin are then tightened, the skin is repositioned, and any excess skin is removed. The incisions are closed by stitches and special clips are used to secure the incisions around the scalp line. In most cases, facelift surgery is performed on an outpatient basis in a hospital or surgical center. Some plastic surgeons may decide to have a patient stay in the hospital overnight, depending on the type of anesthesia that is used for the surgery. Other medical conditions may necessitate an overnight hospital stay. Your plastic surgeon will discuss these options with you during your consultation.